Don’t ask me how I found this, but I was looking for pasta recipes and then other things and this sprung up from Abungac Google. I thought it was cool. It was on this website. The Mary Sue. In what is likely the best use of pasta you’ll see today comes this cookbook from the Gerstenberg Publishing House. As the title implies, it’s a cookbook that you can eat. And we’re not talking just edible paper here — this is the big leagues. 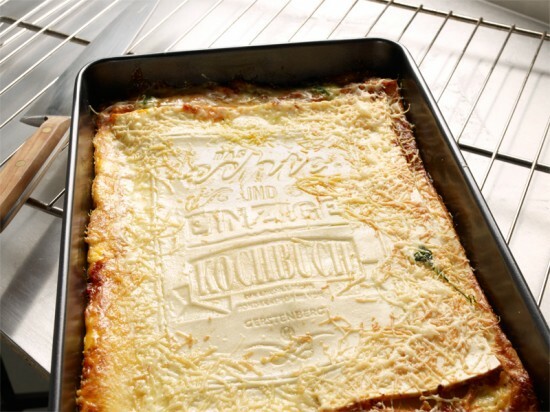 Each page of the book is printed on a sheet of delicious pasta, and the entire book is meant to be read and then baked as a lasagna. Finally, the perfect way to sate your literary and literal hunger. Unfortunately, my German is terribly rusty. 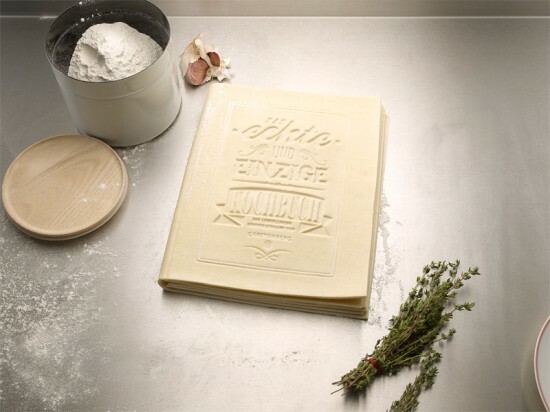 However, it looks like the book/dinner’s creators missed a big opportunity to print the recipe for the book in the edible book itself, but with a cookbook you can eat, I don’t think we should be so picky. LOL – That’s the kind of line I expected from you Chris..hahahaha. Good one! What a simply wonderful idea! I think it is fun! Thank you very much for commenting.